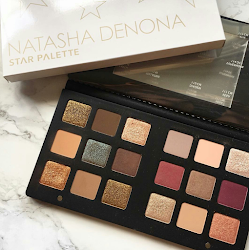 "My sister DeAnne has been doing my makeup since we were little. When I was 14 I started doing beauty pageants and she ALWAYS did my makeup for all of my pageants and photo shoots! Fast forward a few years and now she is in business as a Makeup Artist and I am so proud of her. Of course she has done my makeup for multiple occasions like bridal showers, engagement parties, etc. I am so happy every time she turns the chair around and I see how beautiful she makes me look. 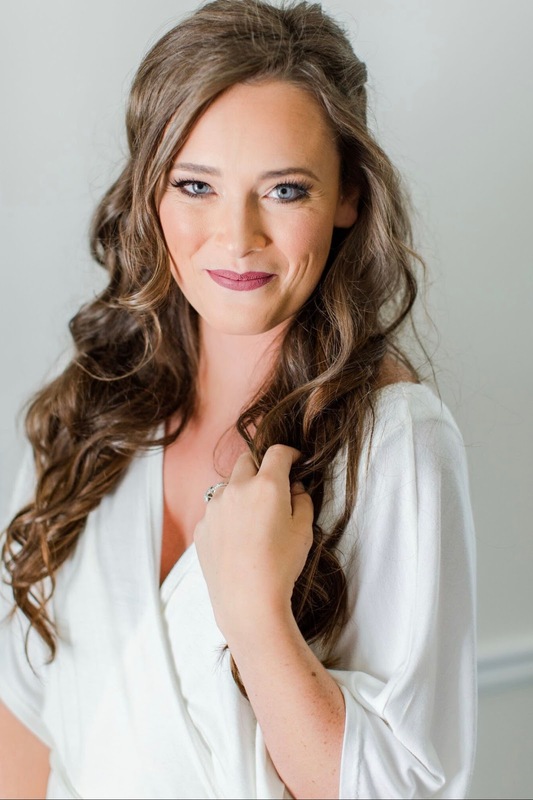 I have recommended her to many friends for their bridal party makeup and some of them I was a bridesmaid in with up to 15 other girls she did makeup for. Seeing how well she handled her groove with that many girls to take care of I knew for sure I wanted her to do the makeup for my own wedding. DeAnne was my Maid of Honor and also the hired Makeup Artist for my wedding. Being her sister of course I was so relieved knowing all of my bridesmaids + myself would turn out absolutely beautiful for my wedding. She works so hard and takes so much pride into making each person look and feel amazing! 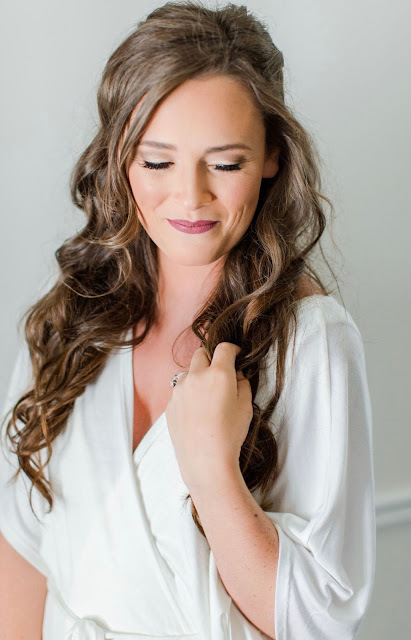 Without a doubt, for the rest of my life Pemberly Blush will be my go to Makeup Artist for any and every occasion!" 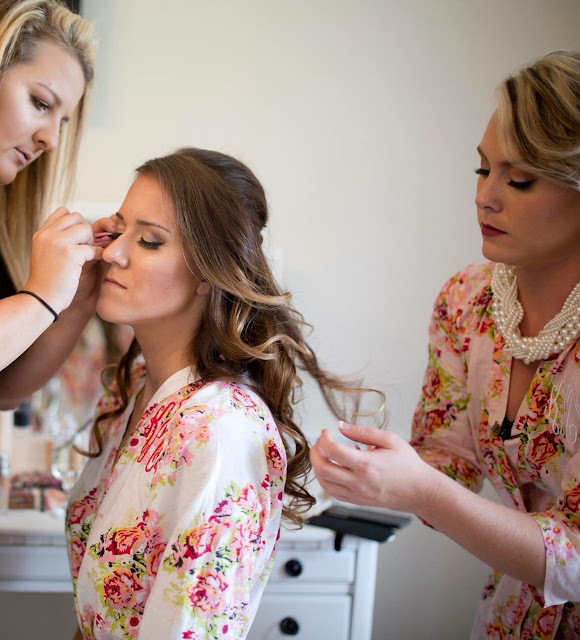 It was such a blessing to be a part of my sisters big day, not only as her Maid of Honor, but as her makeup artist. This woman is truly my best friend of life, partner in crime, and sister in Christ. I couldn't have been given a more perfect person to argue with, share clothes with, and celebrate all the fun stuff in life with! "When searching for a makeup artist for my wedding day I had several people recommend DeAnne with Pemberley Blush. 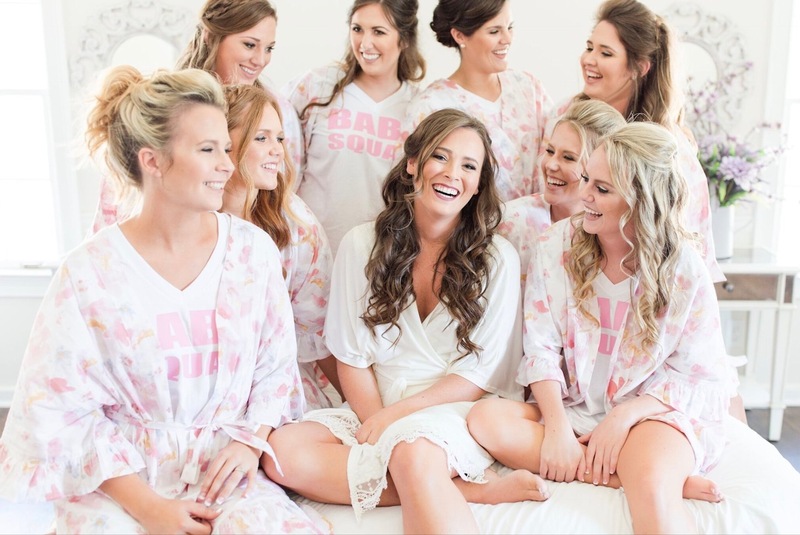 When I first reached out to DeAnne I was nervous to tell her that I needed not only my makeup and 8 of my bridesmaids, but I also had 7 other relatives who I wanted to get makeup done for too. Her response was, "Of course I can do that! Absolutely no problem at all." DeAnne was an absolute pleasure to work with. From the first time I met her at my trial run I knew she would work her magic and have all of the ladies in my wedding looking like queens. And that's exactly what she did. 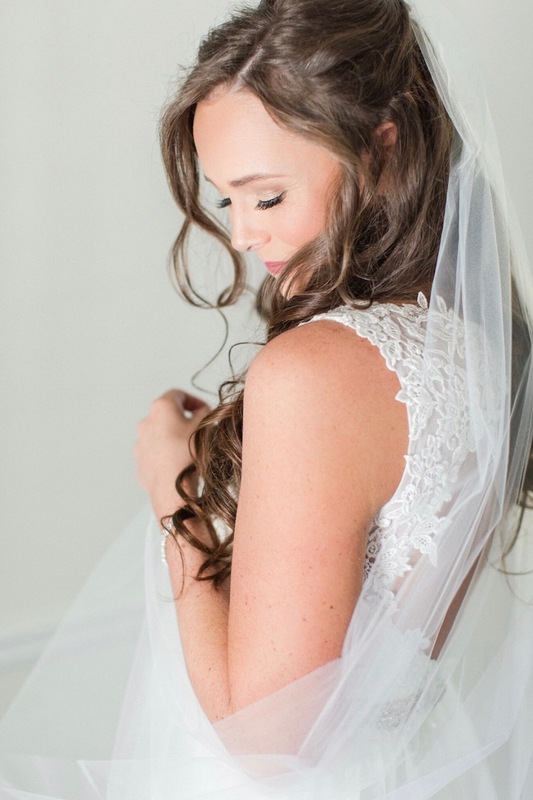 DeAnne took my wedding inspiration photos and gave me a look that was both flawless and timeless. Everyone looked so beautiful and each of them had nothing but sweet words and compliments for DeAnne. If you are a future bride and want one less thing to worry about on your wedding day (every bride in the world), then you need to contact DeAnne. 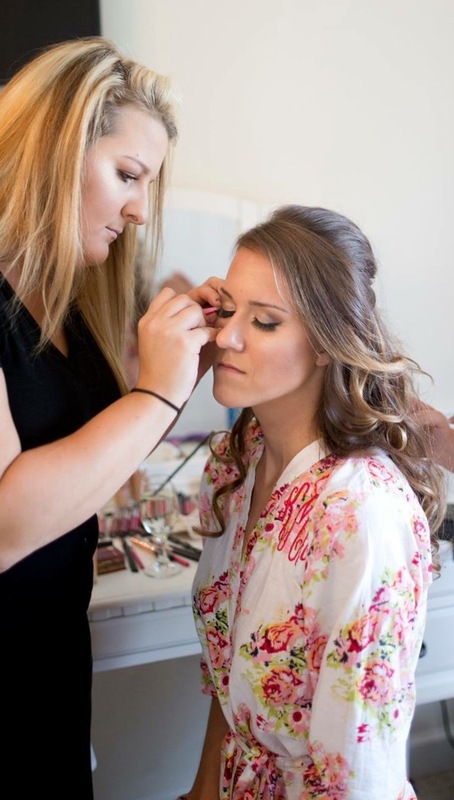 Since my wedding I have had several people reach out to me asking about my makeup artist. It thrills me to be able to recommend DeAnne each and every time. 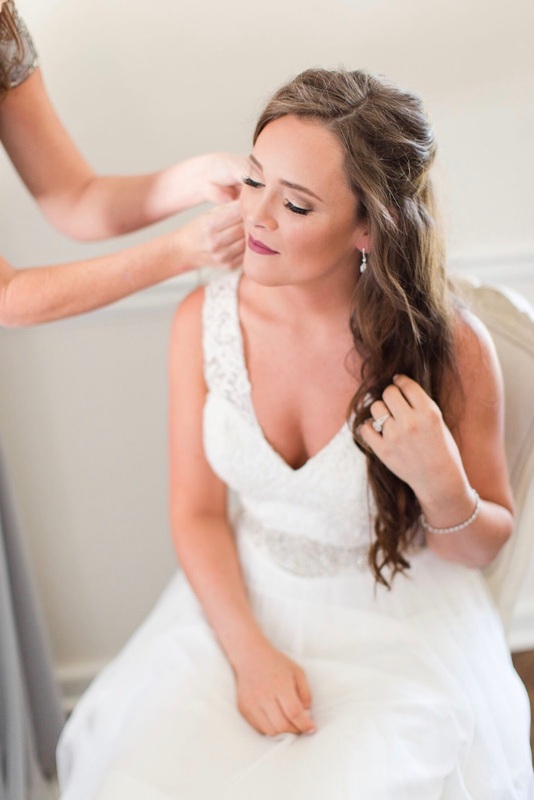 She's not just the makeup artist for your wedding day. 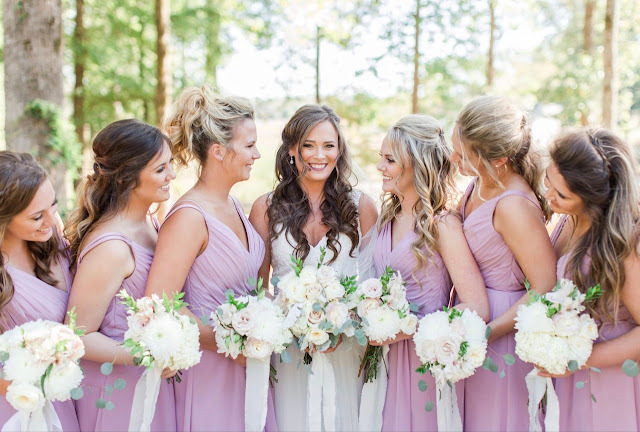 She's a sweet and humble soul who will meet all your Pinterest wedding inspo goals!"